The sequences feature Nicki strutting her stuff across the River Thames and sitting on the wall of Westminster Bridge. Nicki Minaj is facing criticism for failing to cut scenes of London's Westminster Bridge from her new No Frauds video following the city's terror attack last month. The hip-hop star filmed part of her promo on the bridge on 19 March, just three days before a man rammed his car into pedestrians there, and then ran onto the grounds of the Houses of Parliament, where he fatally stabbed an unarmed police officer. Four people were killed and 50 others were injured in the attack. Nicki was still in the British capital when the tragedy hit the headlines on 22 March and she was among the first to send her prayers to the victims. Reports at the time also suggested she would be axing the Westminster Bridge footage in light of the incident and would be shooting new scenes to fill the gap. 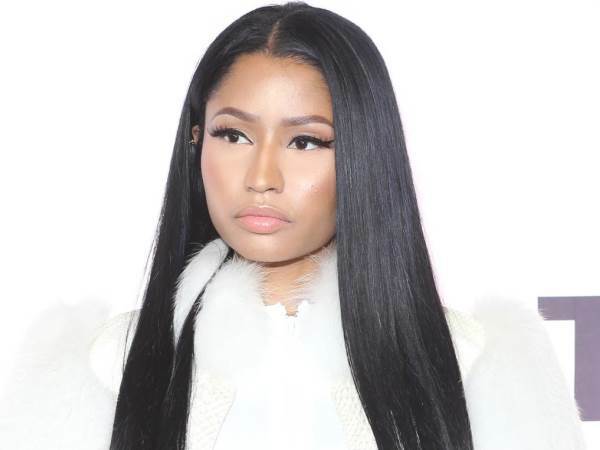 However, when the video was released on Wednesday, it appeared director Benny Boom had decided not to scrap those sequences, which feature Nicki strutting her stuff across the River Thames and sitting on the wall of Westminster Bridge. The move drew negative comments from some viewers, who took to social media to make their feelings known. "@NICKIMINAJ by Westminster Bridge in her new vid... too soon? ", wrote one Twitter user, while another posted, "nicki is sitting on the westminster bridge in that video with no shame that an attack had just happened (sic)". In another tweet, one fan wondered what had prompted the star to change her mind: "I thought Nicki was editing out those shots of Westminster bridge". Nicki has yet to respond to the criticism, but as she shared a link to the video online, she told her followers: "Honoured to have shot this video in London," along with a praying hands emoji. The song, which features Drake and Lil Wayne, was initially released last month in response to a pair of diss tracks from rival rapper Remy Ma.